Endologix has received Investigational Device Exemption (IDE) approval from the US Food and Drug Administration (FDA) to commence a confirmatory clinical study (EVAS2) to evaluate the safety and effectiveness of the Nellix endovascular aneurysm sealing system (EVAS) for the treatment of infrarenal abdominal aortic aneurysms. The EVAS2 multicentre safety and effectiveness confirmatory study will prospectively evaluate refined Indications for Use (IFU) and the Nellix Gen2 EVAS system. Endologix recently received CE mark approval for new IFU. The study is approved to enrol up to 90 primary patients, with one-year follow-up data required for the pre-market approval application (PMA). 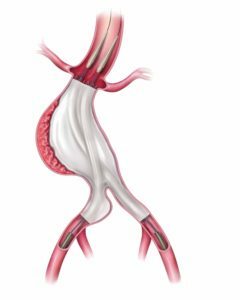 The Nellix EVAS system is an endovascular abdominal aortic aneurysm (AAA) therapy designed to seal the entire aneurysm. Nellix is the first and only EVAS product developed as an alternative treatment approach to traditional EVAR devices. Two-year results of the EVAS FORWARD IDE trial demonstrated positive data earlier this year. Presented at the annual meeting of the Society of Vascular Surgery (SVS; 31 May–3 June, San Diego, USA), the study revealed a freedom from all endoleaks in 94% of cases. Earlier this month, Endologix signed a research and development and distribution agreement with Japan Lifeline. The company anticipates releasing the Nellix system in Japan in the future.